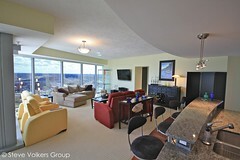 River House Condominiums in Downtown Grand Rapids offers urban living with the warmth of community. Take in a Broadway show, stroll through a local museum or park, enjoy a concert or dine at any of the city’s world class restaurants. From its spectacular views of the Grand River to its convenient location, River House puts all of the excitement of downtown at your doorstep.